”Like an irate prophet” (‘The Sons of Luc & Fer’), the one and only Manuel Rivas writes of a great many issues throughout these eighteen, short snappy stories. And in so doing, transports the reader unto many a place of kaleidoscopic (mis)adventure. Indeed, amid much virtuous and virulent metaphor, One Million Crows finds Galicia’s most renowned, international writer (whose previous books include The Carpenter’s Pencil, In The Wilderness, All Is Silence and perhaps one of my all time favourite books ever written, Books Burn Badly), addressing everything from the mud-flats of childhood to the redolent aftermath of suicide. The above is so compact and colourful, so dense and at times, disparaging; that I found myself increasingly caught up or should I say, intrinsically lost within the actual essence of the writing itself, as opposed to that of the story being told. 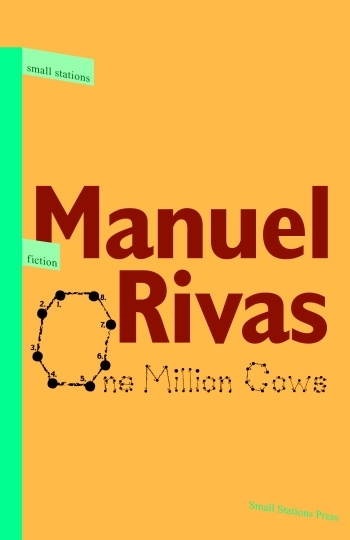 Like so much of his work, the stories Manuel Rivas tells, could, for many, be construed as something of an added bonus. It’s the actual writing that’s so alluring. So attractive. This entry was posted in Short Stories and tagged Books Burn Badly, Che Guevara, Galicia, Irate Prophet, Madonna, Manuel Rivas, Small Stations Press, The Provincial Artist. Bookmark the permalink.